We are delighted to learn that, once again, a local sixth form art student has won a coveted place at the RBA (Royal Society of British Artists) Annual Exhibition, at the Mall Galleries, London. 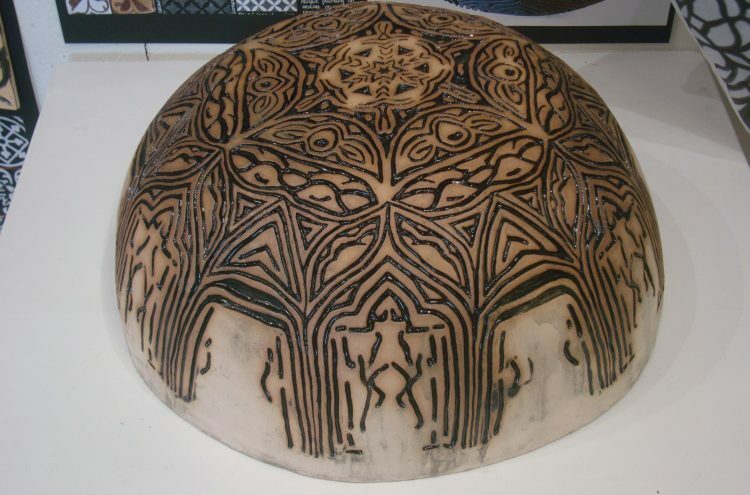 The winning artwork by Jessica Kirkpatrick of AKS (Arnold King Edward School) Lytham St Annes, is a large ceramic bowl decorated with an intricate, detailed Medieval design. Jessica’s artwork has been selected for exhibitions in London at the Lloyd’s Register Gallery from 11 February until 11 March, and then at the RBA Annual Exhibition at the Mall Galleries from 17 March to 2 April 2016. Her work will be displayed alongside that of professional artists and for the duration of the RBA Exhibition, Jessica will be entitled to be called an ‘RBA Scholar’. 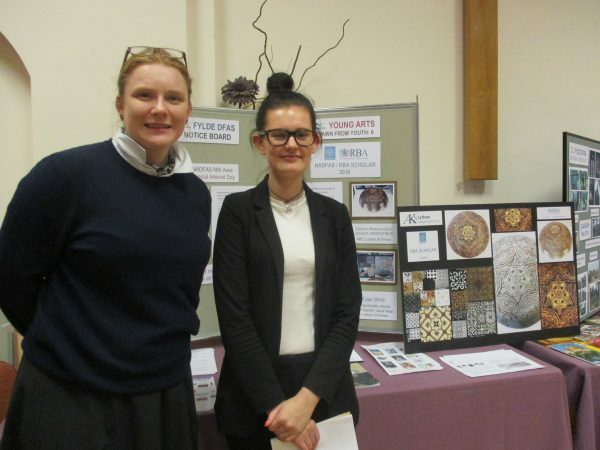 News of Jessica’s Award reached us in time to invite Jessica and her art teacher at AKS, Laura Heap to attend the first lecture of the season for Fylde DFAS. Our Chair, Jo Darbyshire welcomed our special guests and, on behalf of all our members present, warmly congratulated them on such an achievement. Jessica’s work will be displayed alongside 48 items which Fylde DFAS submitted for RBA consideration at the forthcoming Drawn From Youth 6 exhibition at Fylde Gallery, Haven Road, Lytham, in March 2016. This is an annual Fylde DFAS Exhibition enabling many students in the area to have their work publicly displayed, attending an Opening Preview with their teachers, families and friends. This will be the sixth Drawn From Youth Exhibition in which Fylde DFAS have had a number of successful RBA Winners. Students from KEQM School, Blackpool Sixth Form College, Lytham St Annes College of Technology and Performing Arts, and Cardinal Newman College, Preston have been past winners. Every year, the amount of artwork submitted increases and we are most appreciative of the very high quality of artwork being produced in our Fylde Schools and Colleges; Fylde DFAS is proud to be working alongside them, encouraging and supporting some of our very talented students. We are most grateful to the staff in contributing to these successful Exhibitions.